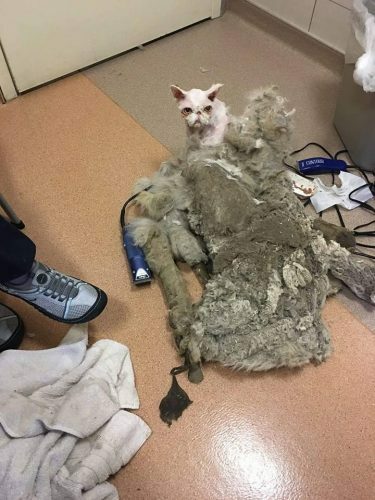 Chicago Basement Cat Loses 5 Pounds of Matted Fur and Finds a Forever Home! 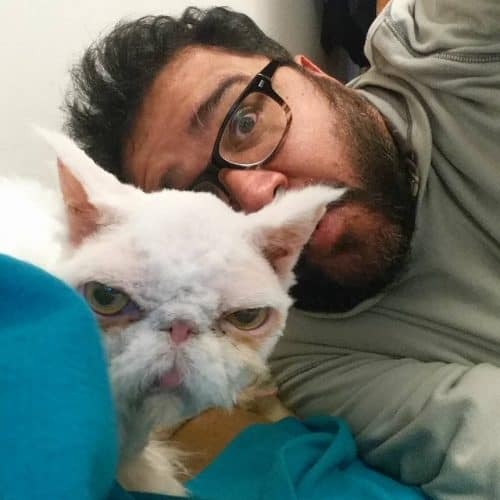 Sinbad, a 9-year-old Persian cat was found in the basement of an elderly man’s Chicago home last December. 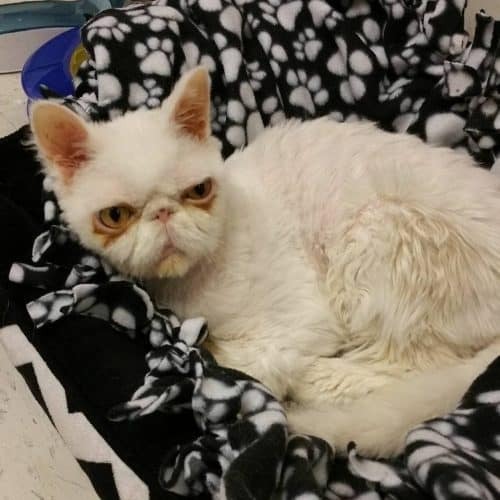 By the looks of him, Sinbad’s owner had been unable to care for him for quite some time. 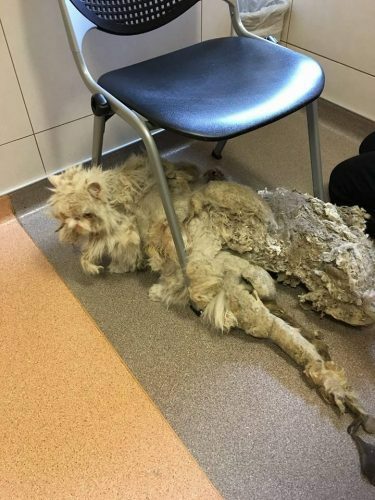 You see, Sinbad was covered with extremely matted fur – 5 pounds of it! That’s more than half his body weight! 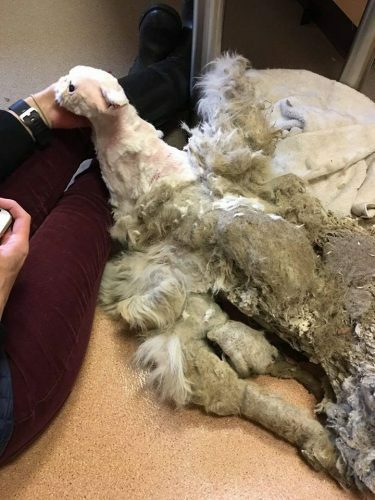 Unable to walk, barely able to move, weak, underfed, and in desperate need of help, the utility worker who discovered Sinbad brought him to The Anti-Cruelty Society in Chicago where he had to be force-fed to save his life. 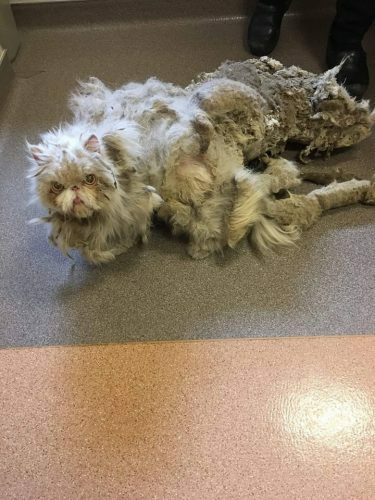 Then volunteers at the shelter began the task of freeing Sinbad from all that fur. 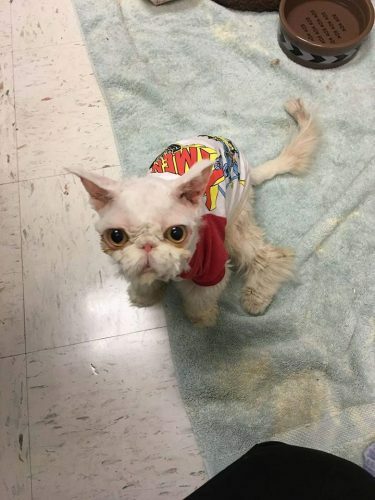 The shelter says at first, Sinbad was wobbly on his back legs, having trouble walking around without falling down. They had atrophied from lack of use. 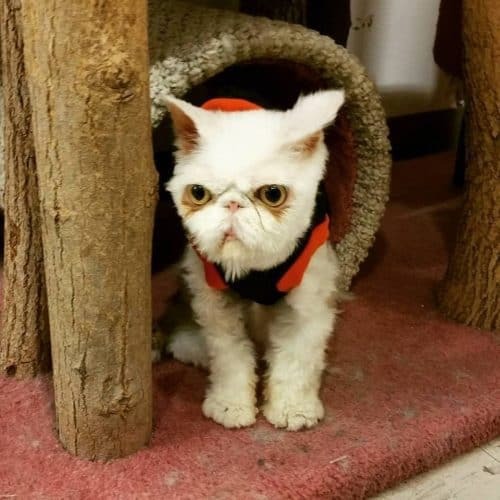 But, within a few days, he was jumping up on furniture and using the litter box! So where is Sinbad now? 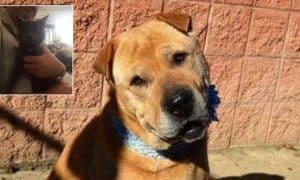 Well, he was fostered in-house at the Anti-Cruelty Society for a few days until an employee named Elliott Serrano volunteered to take him home for Christmas — and he was an immediate foster failure! 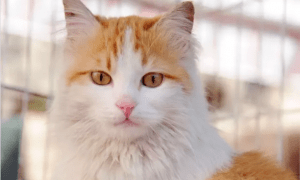 Sinbad became a permanent member of Elliot’s family! Don’t they look happy together?! 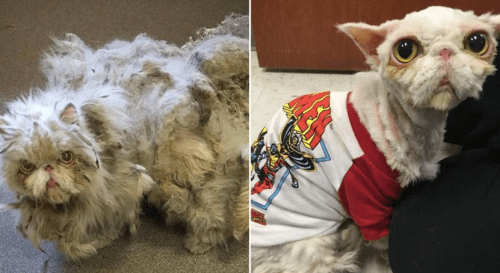 What an amazing transformation, Sinbad! 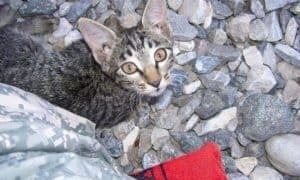 This Soldier Refused To Leave A Sick Kitten Behind!